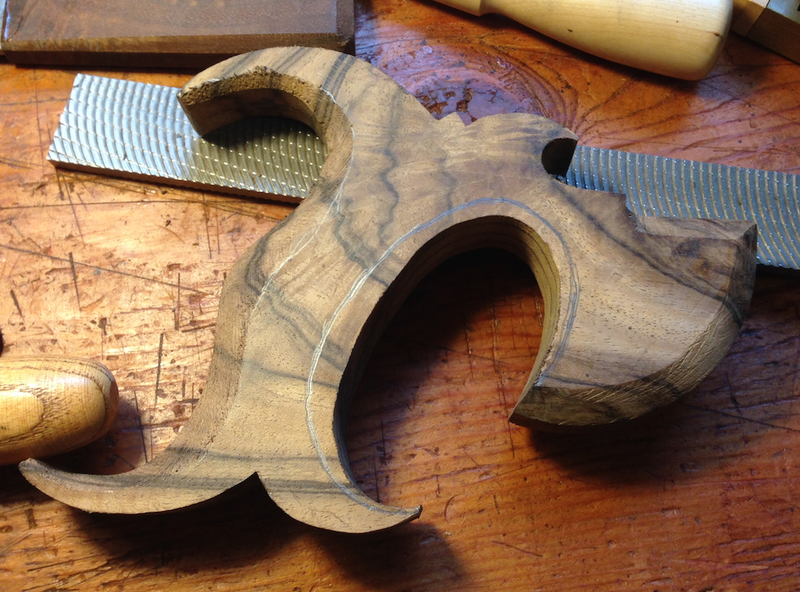 That is a remarkably beautiful piece of wood. It’s also a shame about the first handle that broke. You will have an heirloom saw when you are finished. This looks like another project that could become addictive. Saw handles seem like a great use for special scraps. 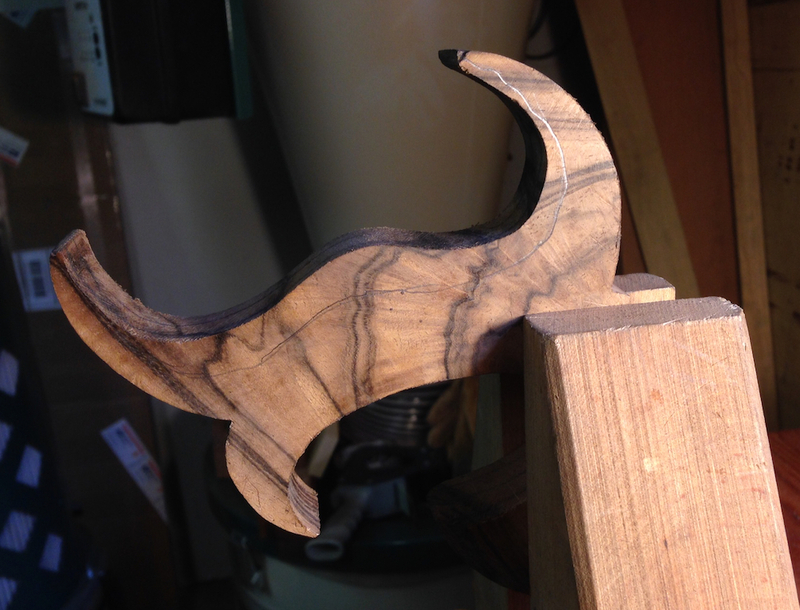 It can’t become too addictive though, I only have a couple of open slots in my saw till. 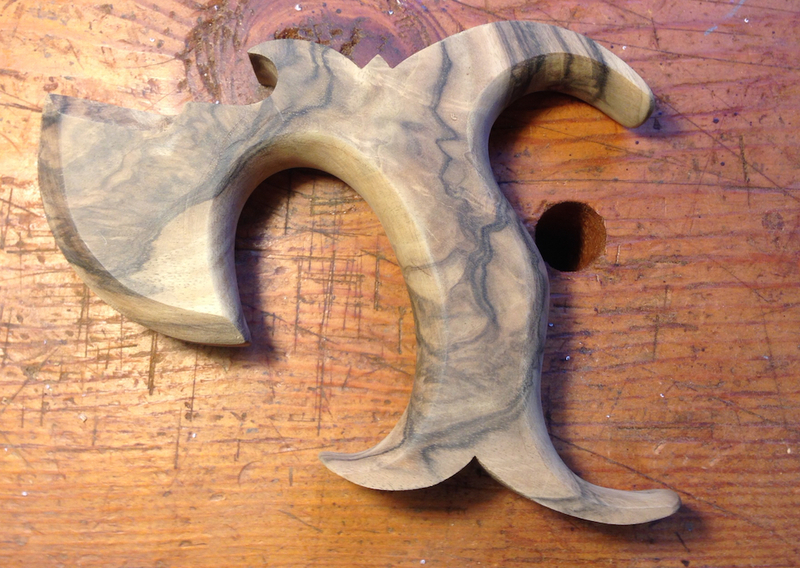 I’d love to find more marbled claro, you don’t need big pieces to make a saw handle. So beautiful. If you figure out how to do handles faster short of doing them all day long, lemme know. Mike Wenzloff told me once they could do a handle in 15 minutes. Wow! Looking really good Joe. It will be a show stopper! 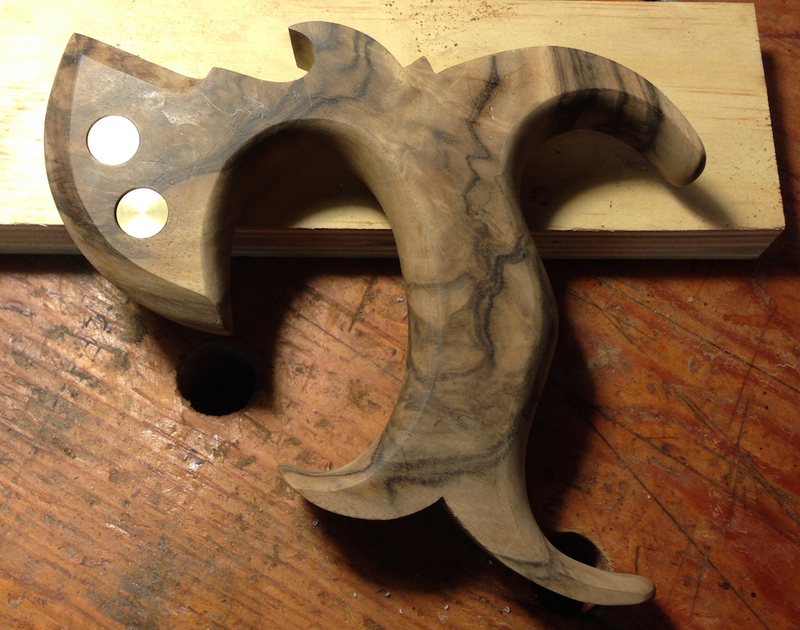 It’s a shame about the first handle, but what a beautiful piece of wood in the second. 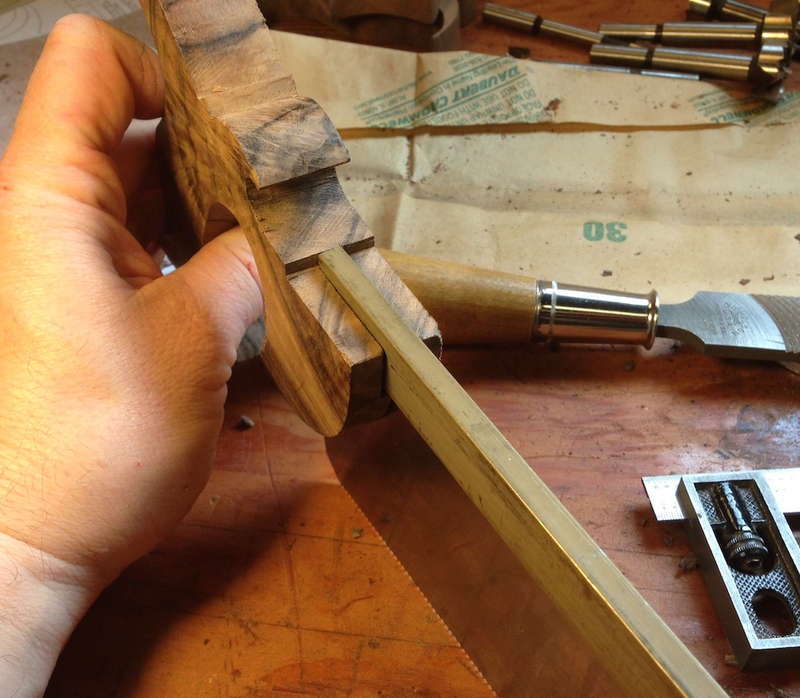 It’s funny, but once the mortise and slot in the handle are done, it seems like the rest of the handle is just downhill. 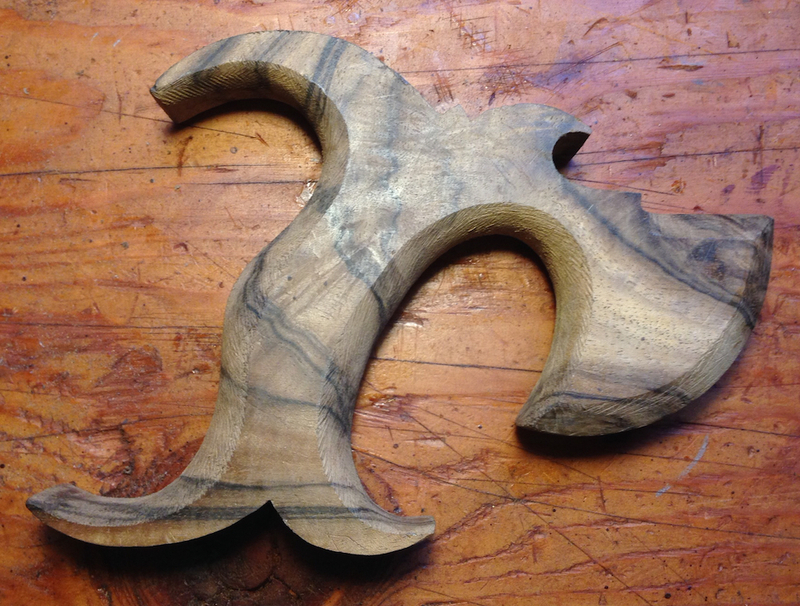 The shaping goes much faster than most people expect, especially on an open handle. Nice job on the shaping. The chamfers look pretty good, and the grip is nicely rounded. 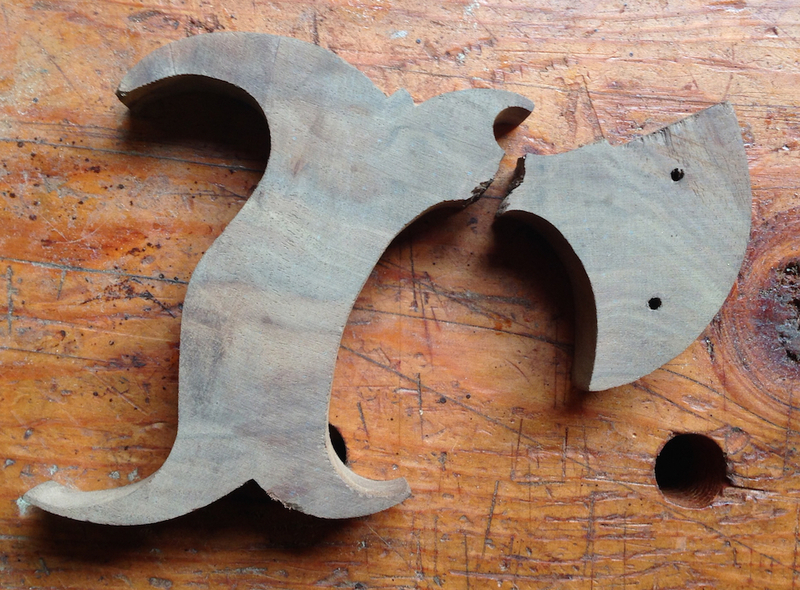 People tend to get a little shy about removing material there, and end up with a blocky handle. Yours looks comfortable. I’m really looking forward to the finished saw. Thanks Isaac – you did the hard bits though! The chamfers could be better, but it’s a fun project. I’ll definitely be making more. Couple of tips if you want them. I recently built three saws after dumping my LN saws. 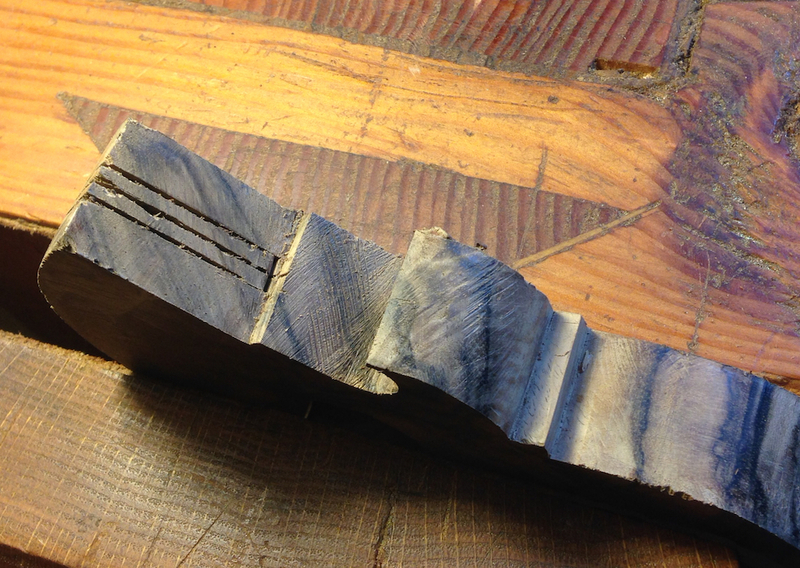 1: if you are using a rasp to shape the handle don’t go through the trouble of removing the bandsaw machine marks, most will be removed when you shape the handle. 2: I use a handscrew to hold the handle and then use a brad point bit in my drill press to remove the bulk of the waste. 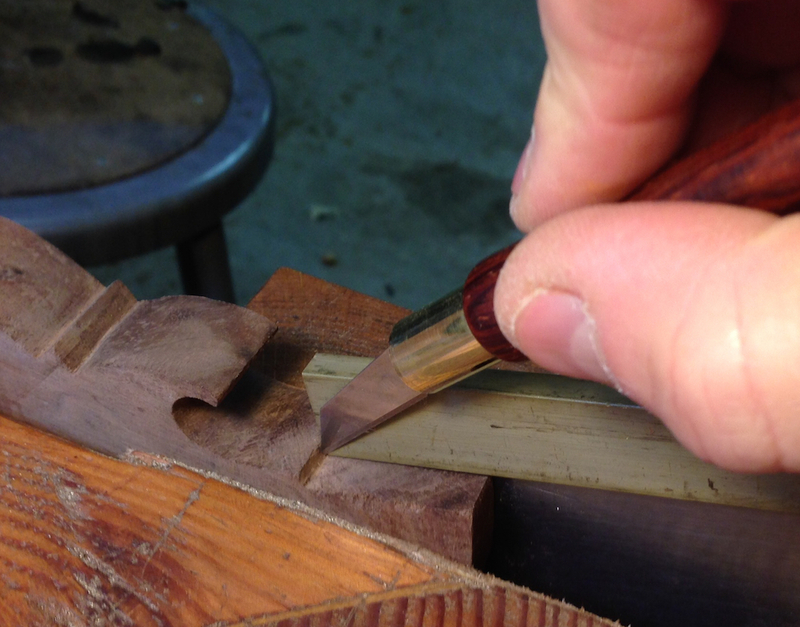 I clean the mortise up with a mortise chisel. Hope that helps!